A Case Study on Benihana Inc. 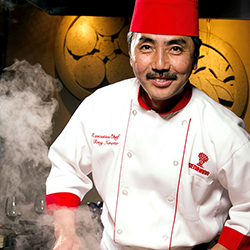 Since 2009, PhotoTouch has been helping Benihana Inc., the nation’s largest chain of Japanese and sushi restaurants, offer photo memories to their guests. The turnkey solution provides Benihana with an effective way to engage guests by providing a branded, high-quality print that also drives customers online to share and download digital photos. Team members at Benihana use the PhotoTouch system to capture key moments that guests are celebrating at their restaurants. By using a simple digital camera, servers are able to take a photo, which is wirelessly transmitted to a computer station. The custom PhotoTouch software then automatically adds the Benihana logo, creates a username and unique password, prints the image and uploads it to the internet. Guests are given the photo to take home and use as a reminder of their celebration at Benihana. The PhotoTouch system has been installed in 71 locations across the United States. More than 7 million personal photo memories have been created. More than 2 million people have visited the Benihana website to view, download, email and share their photos via popular social networks like Facebook and Twitter.